In this lesson we’ll continue with Norwegian grammar, which is essential for you to speak correctly. Let’s start! – La oss begynne! Hva gjør du? – What do you do? Hvor bor du – Where do you live? Hvor er du fra? – Where are you from? Hvem er det – What is it? Hvorfor snakker du norsk? – Why do you speak Norwegian? Hvordan går det? – How are you? Hvordan går det med deg? – How are you doing? Hvor ofte går du på kino? – How often do you go to the cinema? Hvor ofte snakker du norsk? – How often do you speak Norwegian? 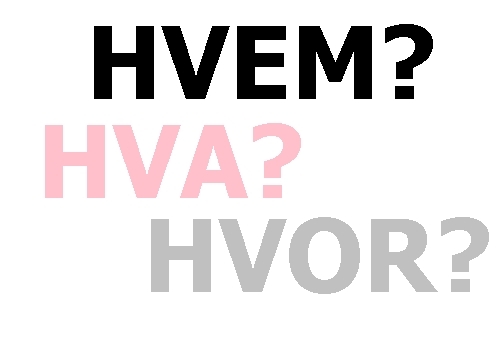 Pick the correct option from interrogative words list: hva / hvor/ hvem/ hvorfor / hvordan / hvor ofte. This entry was posted in FREE Norwegian Lessons and tagged free norwegian lessons, free norwegian lessons online on August 8, 2014 by norgewp. Listening. Hei! Hva heter du? 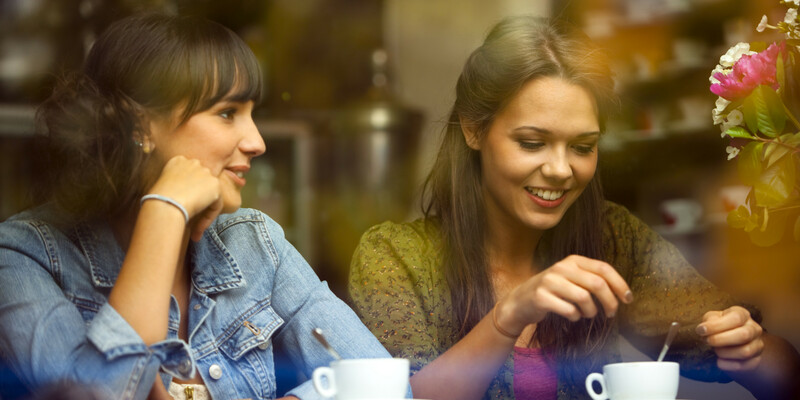 You will improve your language skills by listening to a story and doing tasks, which should help you to concentrate your attention and train your memory. You won’t even notice how fast the new words and phrases are learned! Let’s listen to what Nora, a friend of Ana, is telling us. After that, take a quiz and find out how good you’ve understood the story. A little help – full scenario is available below. Before listening, we recommend you to learn new words in the 1st lesson. Take a quiz and check how you’ve understood Nora’s story. I am from Bergen, but I live in Oslo. He speaks Norwegian a little. Ana is attending Norwegian courses. She speaks Norwegian, English and German a little. She is studying in a university in Oslo. After learning all the materials of this lesson, write a short story about yourself. Tell what town you are from, in what country you live, and what languages you speak. Maybe you have some hobbies? If you need to, look for some words in a dictionary. 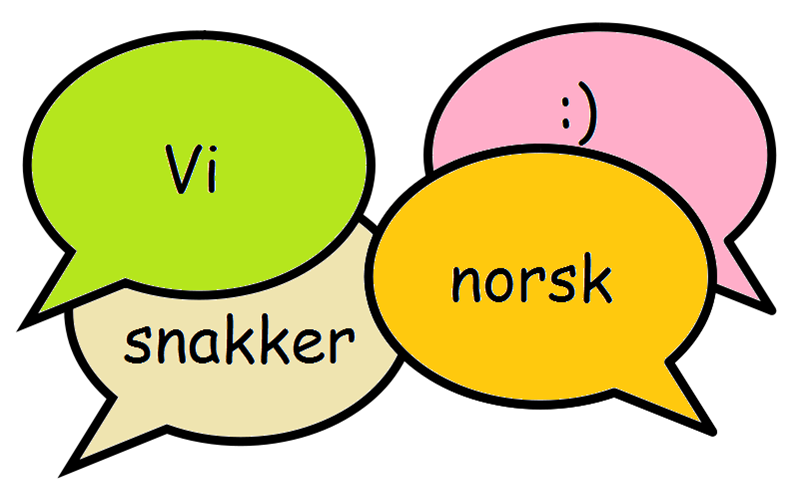 This entry was posted in FREE Norwegian Lessons on July 11, 2014 by norgewp.